The new members boast extensive experience from the fields of grassroots LGBTIQ activism, international human rights advocacy, global finance, and law. OutRight will benefit from the varied set of skills and backgrounds its newest board members bring to the table. "The OutRight board of directors is indispensable to our global programs to ensure that LGBTI people live with safety, security, and dignity. Camille, Fabrice, Jenny, Russell, Saad, Suki, and Suzanne bring deep expertise across business, human rights, management, government, and the law. I couldn't be happier to welcome them to OutRight or more excited about all that we will achieve together." Executive Director of OutRight Action International, Jessica Stern, said. These new additions will serve as the governing board and guide the mission of the organization. They bring their skills as global leaders of their respective fields who have proven their dedication to LGBTIQ human rights and their abilities to analyze and provide guidance on the complex issues which OutRight takes on daily. “These seven new members will add immeasurably to OutRight’s already outstanding and deeply committed board of directors. Combined with the superb staff leadership of Jessica and her team, the organization will be stronger than ever – which is absolutely essential given the immense challenges facing LGBTIQ people around the world,” Chairman of OutRight’s Board of Directors, Roger Doughty, said. 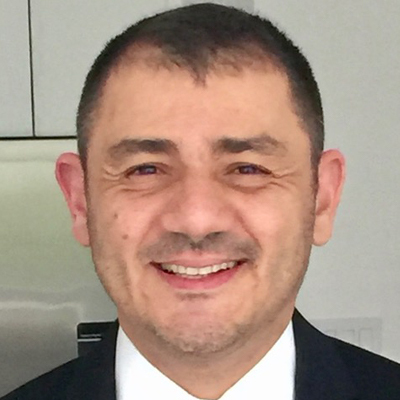 Saad Bounjoua is currently Vice President, Ethics & Compliance at Becton Dickinson, a Fortune 500 Medical Technology Company, after serving as its Chief Audit Executive for 3 years as well as Vice President, Finance at one of its business units. Prior to joining BD, Saad was a Managing Director at PwC the Global Consultancy firm, where he advised clients on Risk Management, Governance and Process Improvement for 15 years. Saad also serves on the Oversight Advisory Committees at UNESCO and CGIAR and held past board roles at Positive Health Project as well as the NY Chapter of the Institute of Internal Auditors. Saad is a graduate of the Paris Graduate School of Management. He and his partner Ash currently live in New York City. Camille Massey is founding executive director of the Sorensen Center for International Peace and Justice, the first named Center at City University of New York Law School. The Sorensen Center, named after Ted Sorensen, trains social justice lawyers to work from local to global, protecting rights of those affected by instability, conflict, and repression. Camille previously served as vice president for global strategy and programs at the Council on Foreign Relations (CFR). a nonpartisan, independent think tank and membership organization headquartered in New York City. At CFR, she led international initiatives, such as the establishment of the global board of advisors; strategic partnerships; global fellowship program, and the corporate program. Prior to CFR, Camille was the founder and CEO of Cue Global, a consulting business that designed and implemented strategic policy, legal, advocacy, communications, and resource mobilization plans for global organizations. She also served as a senior advisor at the International AIDS Vaccine Initiative, director of communications at Human Rights First, and a fellow in the Human Rights Program at The Carter Center. From 2011 to 2018 Camille served as the board chair of Breakthrough, a global human rights organization working to make violence and discrimination against women and girls unacceptable. She also serves on the advisory boards of Global Witness, New York University’s Center on Business and Human Rights, Syracuse University's Newhouse School, and House of SpeakEasy, a literary nonprofit organization. She is a member of the Council on Foreign Relations, the American Bar Association, and the New York City Bar Association. Camille earned her J.D. from City University of New York School of Law with a clinical concentration in human rights and gender justice, and her B.S. from Syracuse University. She is originally from Gainesville, Georgia. Jenny Pizer is Senior Counsel and Director of Law and Policy for Lambda Legal, the country’s oldest and largest legal organization working to secure full civil rights for lesbian, gay, bisexual and transgender (LGBT) people and people living with HIV. 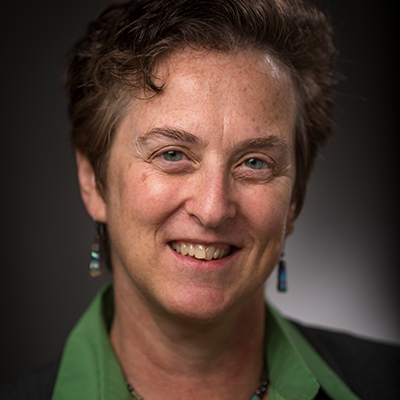 For more than 20 years, she has been litigating impact cases to obtain fair conditions for LGBT people in health care, employment and education, and to challenge the use of religion to license discrimination. She also drafts legislation, advises policymakers, and works with community advocates to advance nondiscrimination protections and to oppose overbroad religious exemptions. Jenny long has been a leading voice for family equality for LGBT people and previously directed Lambda Legal’s Marriage Project, drafted groundbreaking marriage and domestic partnership legislation, and represented lesbian and gay parents. She has received many professional achievement and community service awards, including being named among California’s top women litigators seven times. From 2011 to 2012, Jenny served as Legal Director of the Williams Institute, a sexual orientation and gender identity public policy research center at UCLA School of Law. Before that, she was an adjunct professor at USC School of Law, Loyola Law School, and the former Whittier Law School. Jenny is a graduate of NYU School of Law and Harvard/Radcliffe College. After law school, she clerked for Hon. Ann Aldrich of the U.S.D.C, Northern District of Ohio, served as NARAL’s Legal Director, and practiced intellectual property litigation with a leading San Francisco firm. 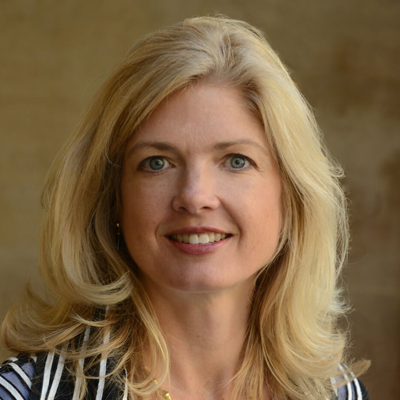 Suzanne Rotondo is the founding Principal of Redshift Leadership, a consultancy that specializes in leadership and culture, with a deep expertise in emotional intelligence and positivity. As an experienced executive coach, leadership consultant, retreat session facilitator, and advisor to Boards of Directors and senior teams, Suzanne leads Redshift Leadership and personally commits herself to supporting both innovative for profit clients and social justice organizations across range of areas including human rights, gender/racial equity, access to economic opportunities, progressive policy/advocacy, sustainability, state/local government and game-changing problem solvers. Over the last 20 years, Suzanne has worked with a variety of social movements, social justice organizations and nonprofits including the Ad Council, Sierra Club, Clinton Foundation, Planned Parenthood Federation of America, Mom’s Rising, Healthcare without Harm, (NYC’s LGBT) The Center, Philadelphia Mayor’s Office, Natural Resources Defense Council, and Open Society Foundation. Suzanne draws upon extensive experience from her ongoing work with select private sector companies, primarily in the media/entertainment sector, including Netflix, BuzzFeed, MTV, Disney, ASCAP (American Society of Composers and Publishers), Paramount Studios, VH1, and NBCUniversal. 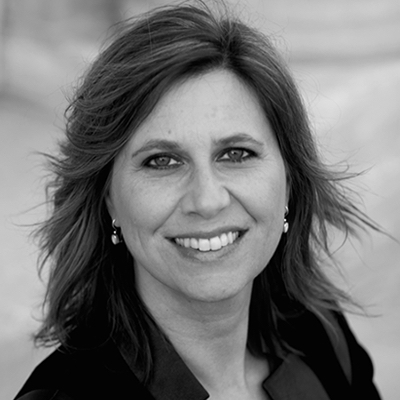 Suzanne holds a Masters of Public Administration from Harvard University’s Kennedy School of Government and is an alum of the Gestalt Institute of Cleveland’s IOS program and Teleos Leadership Institute’s Executive Coaching program as well as Robert Gass’s Art of Transformational Consulting program. Suzanne lives with her spouse, Karima Zedan, and their teenager in Philadelphia. Russell Roybal is a long-time leader in the lesbian, gay, bisexual, transgender and queer movement. He is currently Chief Advancement Officer of San Francisco AIDS Foundation and works alongside the organization’s development, marketing and communications, and AIDS/LifeCycle teams. He leads the fundraising, communications, and branding efforts that resource the organization’s programmatic efforts and advance the mission of the Foundation. Previously, Roybal was the National LGBTQ Task Force’s deputy executive director, where he directed the organization’s programmatic and policy work, and the National Conference on LGBT Equality: Creating Change. Prior to joining the staff of The Task Force, Roybal was director of training and capacity building of the Gill Foundation, at the time the largest private funder of LGBTQ organizations in the United States. In his role there he trained thousands of activists on how to resource their fight for equality. 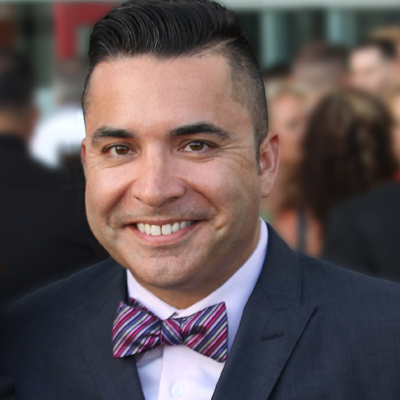 He has also served on the staffs of LLEGO - the National Latina/o LGBT Organization, the San Diego LGBT Center, and San Diego Pride. 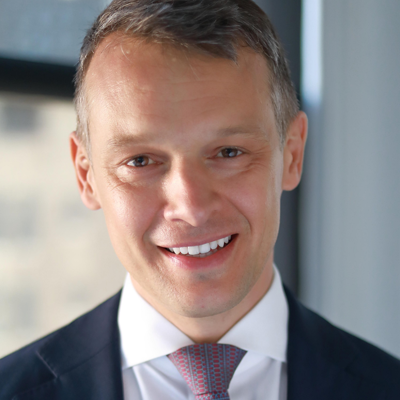 In addition to his staff roles he has served on the boards of the National Committee for Responsive Philanthropy, Grassroots Institute for Fundraising Training, National Gay and Lesbian Task Force, and the International Court System. He was honored by the California LGBT Legislative Caucus as a Pride Honoree in 2017 and was named Grand Marshal of the San Diego LGBT Pride celebration the same year. When not working you can find him underwater SCUBA diving or living his life on the dance floor. Suki Sandhu is the Founder & CEO of diversity-focused boutique executive search firm Audeliss, and membership organisation INvolve. 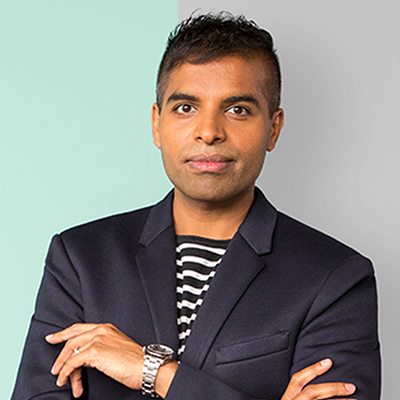 He is one of the UK’s foremost authorities on diversity and inclusion in the workplace and has most recently launched The Suki Sandhu LGBTQI Asia Fund, managed by GiveOut. With this, grants will be provided to support activists working across Asia to improve the lives of LGBTQI people. Over the last 10 years, he has steered Audeliss to become one of the UK’s leading executive search firms that works with FTSE100 organisations to expand their diversity and inclusion representation at Board level. Earlier this year, Suki launched the company into the United States, opening an office in New York.Nvolve (formerly known as OUTstanding) was set up by Suki as a membership organisation, and now has a network of over 80 member firms, including 26% of the FTSE100. INvolve consists of three initiatives; EMpower, OUTstanding and HERoes, working across ethnic minority, LGBT+ and gender diversity respectively. As an LGBT+ initiative, OUTstanding works with member organisations to provide them with skills, knowledge, a network and resources to create inclusive workplaces for LGBT+ colleagues. With the addition of these seven new members, the board consists of 19 members.